Tange, Flora, and Sukari have been sharing space together almost daily in the African Habitat. The three have been observed dozing in the sun together and foraging near one another in the same yard. 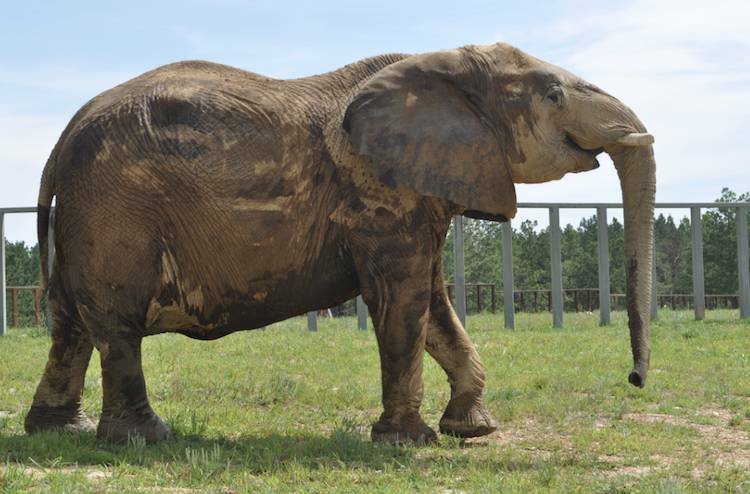 The Africans haven’t had access to East Habitat for several weeks due to ongoing construction, but Caregivers have left the gates open between North Yard, the Annex, and South Yard so the elephants have full reign of all three habitat areas—leaving open the opportunity to choose to spend time together, or apart. Last Tuesday, Care staff witnessed all three Africans standing together, quietly napping in a small area behind the barn. 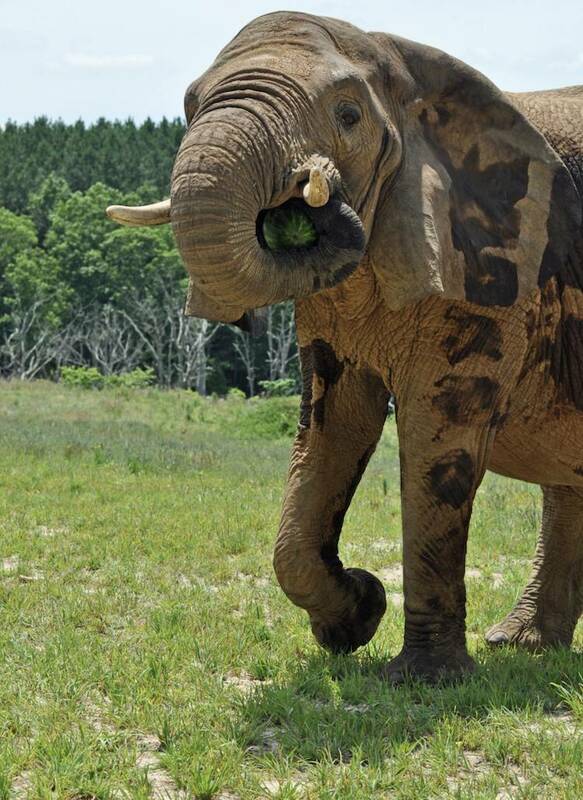 Africa Habitat’s Lead Caregiver, Kristy E. said she is excited to see that Sukari growing more comfortable with her habitat mates, and is especially impressed that she no longer runs away when Flora walks toward her. Flora has visited the Pipeline and Plateau this week, staying just long enough to knock down a few trees. She has also been spending a lot of time at a new wallow up at the Pipeline, thanks to The Sanctuary’s hard-working facilities team. 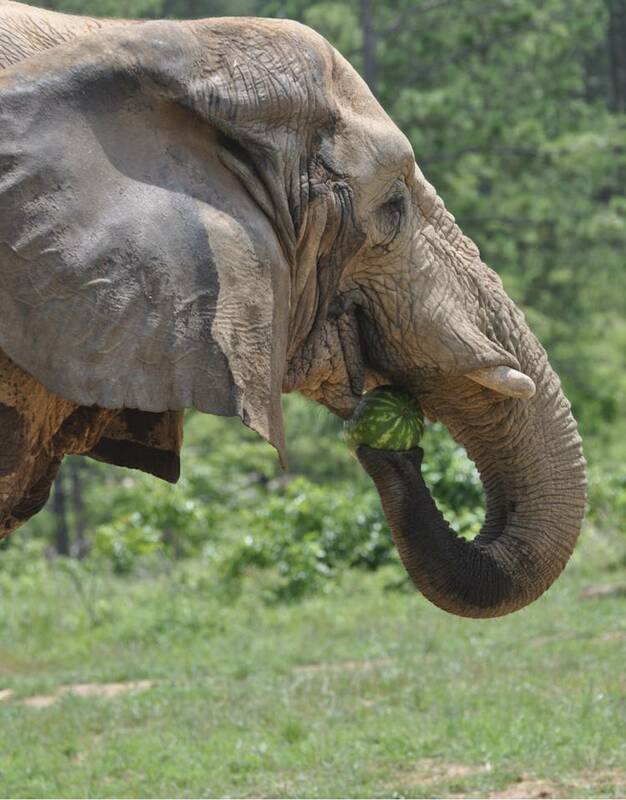 The Africans also enjoyed donated watermelons this week, a favorite treat for all of them. Flora, as expected, savored hers for as long as she could—watermelon is her favorite treat. Sukari and Tange seemed to hardly taste theirs, they were gone so quickly.